Pixar hasn’t just reinvented animation for the 21st century, they’ve expanded it forward to a space and time where the adult/child line is blurred and the creativity on display is astonishingly rendered. You forget you’re watching a film primarily aimed at kids. You feel like a child again, full of innocence, full of joy, discovering a new world that previously seemed so out of reach. Over the past 20 years, Pixar has given us so much more than 15 timeless movies; they’ve brought us the ability to succumb to a universe full of magic and stories that hit the truest notes possible. It’s hard to imagine a cinematic landscape without Pixar, and the significance they represent cannot be underestimated. Their effect on regular, live-action movies is self-evident. They’ve pushed boundaries and forced other filmmakers to think outside the box. Here’s to another 20 great years. Any Pixar list must begin and end with this masterpiece. The first half hour of WALL-E has scarcely any dialogue and plays like a silent Chaplin movie — that is if he had ever decided to make a post-apocalyptic movie about a lonely garbage-chewing bot who falls in love with an A.I. named Eve. The second half is more conventional but nevertheless visionary. The future that director Andrew Stanton concocts is that of a torn up world, ravaged by an environmental crisis, where the planet’s citizens have been evacuated to live aboard a space cruiser, with only one last possible chance to rebuild. I don’t know many people who can come out of this film’s first 10 minutes with a dry eye. In 10 hopelessly romantic and surreal minutes, Pixar gave us the quintessential anatomy of life, love, and death in a simple but heartbreaking montage that might just be the crowning achievement of the studio. Although the rest of the film can’t reach the peak of that montage (and really, which can? ), the rest of the film is incredibly great and visually vivid, bursting out with colors. It’s an allegorical film about aging without regret but with dignity. What more can be said about “Toy Story 3″? It was supposed to be the last hurrah. A sequel was just announced recently, but it will be very hard to top this achievement. Tackling adult themes, the movie was the darkest, most vicious of the series, with a villain who could scare you more than any live-action baddie. The stakes were dead real, tackling the loss of innocence and the promotion — or is that a demotion? — to adulthood. Near the end of the movie’s wrenching climax, as our heroes are about to get cooked alive in an oven, you can’t help but think the inevitable could actually happen. Never have I feared for the lives of animated characters more than in this movie. 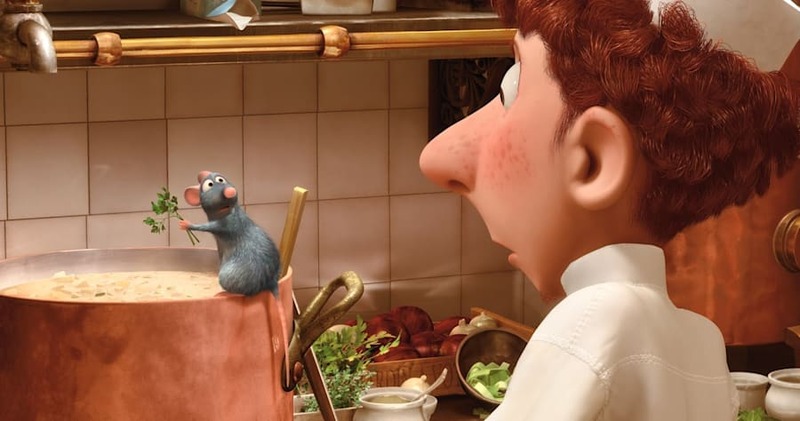 A Parisian rat named Remy just wants to become a chef. This could have gone wrong on so many levels, but it didn’t. “Ratatouille” is highly enjoyable, recounting some of the Disney gems from the golden age of animation. When Remy starts cooking up a storm in the Parisian kitchen he has crashed, the moves are like ballet, effortlessly propelling his miniature body all around the kitchen and unequivocally expressing his unadorned passion for cooking. This again shows just how influenced by Chaplin the great animators at Pixar really are. “Inside Out” is the brainiest, most trippy movie Pixar has made so far. Coming out of the theater, a buddy of mine, who is coincidentally a psychologist, told me the movie should be mandatory viewing for all psych students. How does Pixar come up with such ambitiously ingenious ideas? I’m guessing this is the movie most have not yet seen from my list, so I won’t say much, but just let your brain have a little workout with this golden nugget of a movie. While we get relentlessly pummeled by countless superhero movies every single year, it is a breath of fresh air to see the genre work so triumphantly well. Brad Bird has proven his worth in the past, most notably with the criminally underrated animated movie “The Iron Giant”. Bird gives us another visual treat by tackling the superhero genre and coming out with a classic that can stand alongside “The Dark Knight” and “Spider-Man 2″. The action scenes are breathtakingly staged, with Bird’s incredible eye for detail and pacing coming in handy. Unlike many superhero movies, this is one of the rare cases where a sequel would be welcome and well-deserved. I can think of three times in cinematic history where an actor or actress deserved to get nominated for a voice performance: Robin Williams as the Genie in “Aladdin”, Jeremy Irons as Scar in “The Lion King”, and of course Ellen DeGeneres as Dory in Pixar’s “Finding Nemo”. The work DeGeneres does here is nothing short of brilliant. 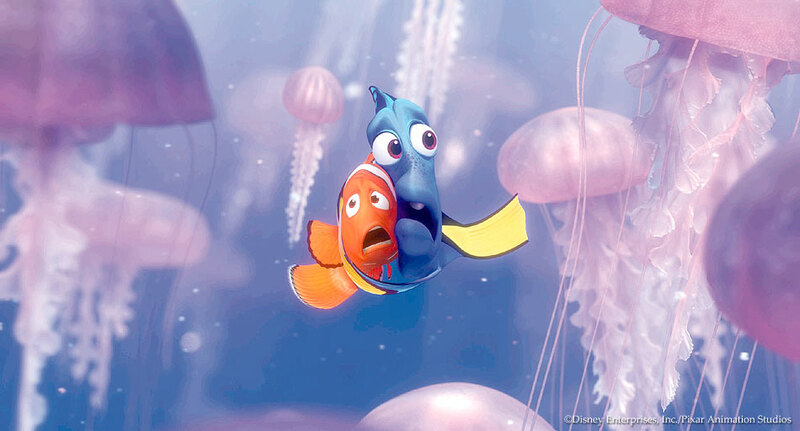 She uses a playful innocence to counterbalance Albert Brooks’ somber, more serious tone as Nemo’s father. The lighter optimism of Dory shines through and perfectly complements the astonishing visuals of the coral reef in all its glory. It all started here. The first time I saw “Toy Story” I could scarcely imagine how groundbreaking and important it would become for animation. This movie literally changed the game and practically got rid of all hand drawn animation in Hollywood, which of course is a real shame, because hand-drawn is still one of the most beautiful and creative ways to make a movie – just look at any Hayao Miyazaki movie if you don’t believe me. Now almost every single animated movie is CGI and we’ve relied so heavily on it because of how monstrous a success Pixar had with “Toy Story”. The facial expressions, the movements, and the effortless flow that carry characters about was unprecedented. It was goodbye to the classical and welcome to the new age. We had no right to expect a sequel that would be better than the original, but that’s exactly what “Toy Story 2″ accomplished. This time around we had a better story, improved animation, and an exhilarating sense of adventure. If the original was riding high off of its landmark CGI, this sequel was trying to perfect the glitches that held the story back a little the first time around. With Indiana Jones styled action, “Toy Story 2″ proved there was still room to expand in the Pixar canon, and that these guys were dead serious about blowing us away. The colorful designs that come with the Día de los Muertos celebrations are on full glorious display in Coco. From the Ofrendas (altars of worship), to the brightly lit orange petals that separate the bridge between the living and the dead, all the way to the papal picados, this is a representation of Mexican traditions in as realistic and authentic a way as possible. Unkrich takes full advantage of the imagination that comes with this highly colorful holiday; even the alebrijes, the brightly luminescent spirit animals, are there to help the dead in times of need. 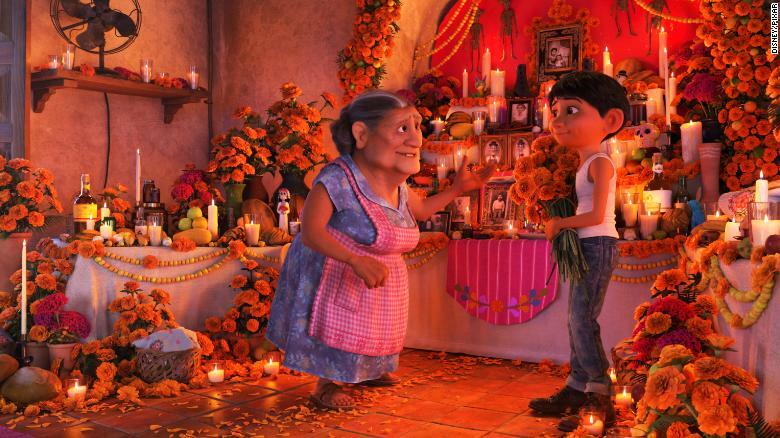 Just when you think you know where Coco is headed, Unkrich takes surprising turns leading to a poignantly effective finale. What was seemingly a simple story of a boy trying to find his way back home becomes something altogether different? The waterworks are cued as guitar strings and heartstrings are equally and authentically plucked in exuberant fashion.